20:37 | Arequipa (Arequipa region), Oct. 18. The upcoming Alpaca Fiesta 2018 —the most important event in the alpaca industry— provides an opportunity for attendees to explore Arequipa's major attractions and plenty of things to do while in the so-called White City. 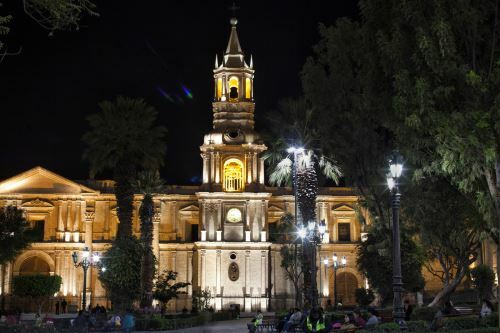 In addition to its scenic beauty, amazing architecture, rich cultural heritage, and delicious gastronomy, Arequipa offers a warm and homelike environment that encourages visitors to come back. 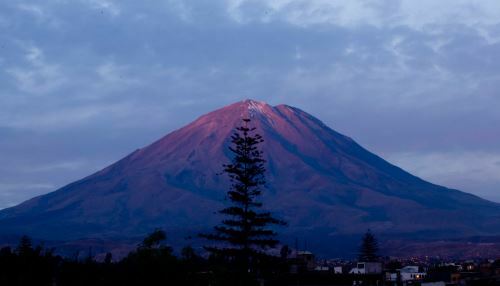 Arequipa is the second most populated city in Peru. It is considered one of the most beautiful areas in the country due to its impressive landscapes, imposing volcanoes, and for hosting the deepest canyon in the world. Main Square is in the heart of the city's urban core. 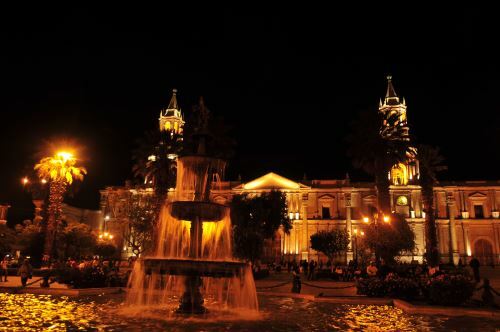 Located in the historic center of Arequipa, this square is famous for its architectural and symmetric harmony. 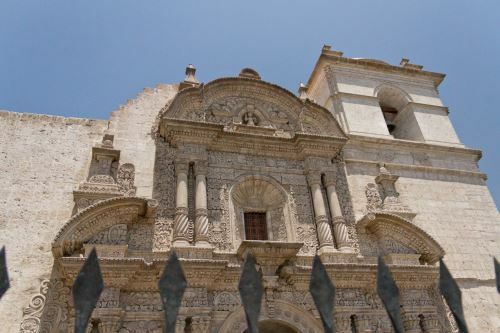 The surrounding area includes Arequipa's Cathedral and famous portals. 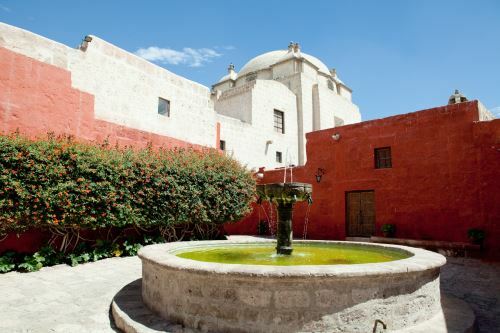 The Santa Catalina Monastery is the city's most popular spot. Its architectural beauty is impressive and is the best example of the Viceroyalty era splendor. The place includes alleys and passageways —surrounded by arcades— that lead to splendorous courtyards, cloisters, gardens, small squares, and ancient facilities. Built to accommodate distinguished religious women in the city, the monastery was opened as a place of extreme seclusion and remained as such until 1970. Regarded as one of the city's main religious monuments in the 17th century, the Cathedral was built with ashlar (volcanic stone) and brick vaults. It was destroyed in an 1844 fire and rebuilt in 1868 by architect Lucas Poblete. 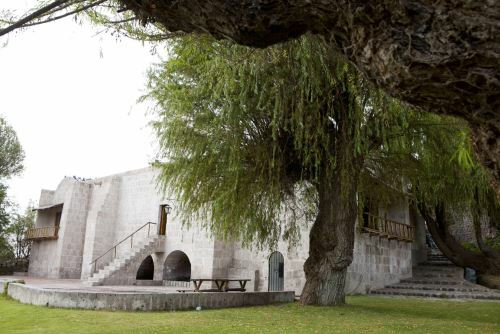 The Yanahuara Viewpoint is located 2 km away from downtown Arequipa. 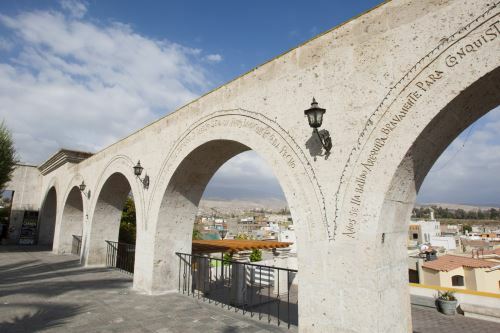 It was built in the 19th century and comprises a series of ashlar arcades with carved writings of illustrious Arequipa citizens. The lookout point offers a privileged view of the city and its three volcanoes Misti, Chachani, and Pichu Pichu. Misti Volcano stands at 5,825 meters above sea level and its slopes are situated 20 km from Arequipa. From the summit, you can see the White City, Chili Valley, as well as Chachani and Pichu Pichu volcanoes. 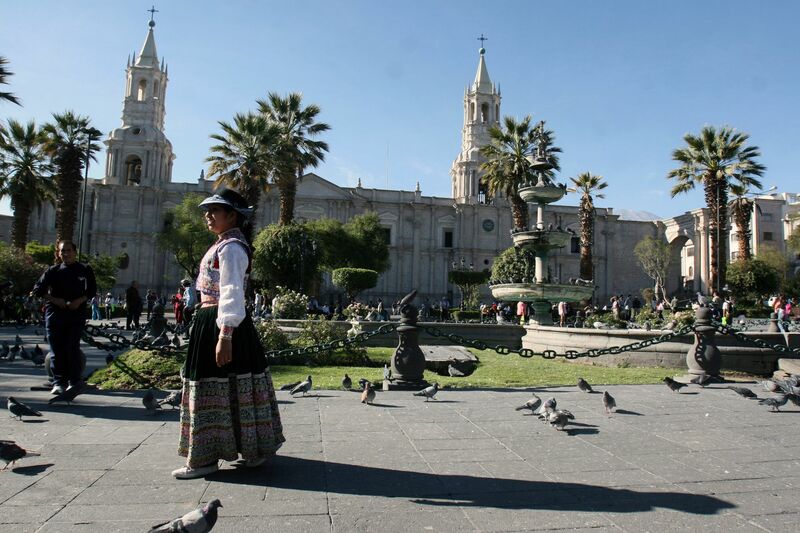 It is a religious architectural jewel located at Arequipa's Main Square. Built in 1590, its construction stands out for its white stone walls and beautiful reliefs decorating its baroque façade. 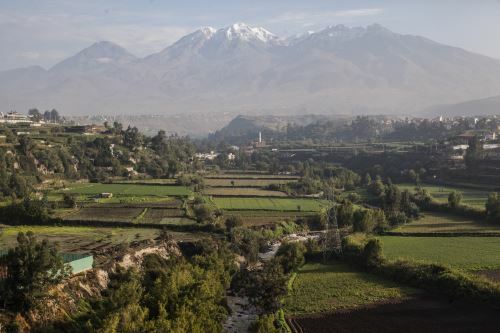 Known as the south-eastern access point to Arequipa, Sabandia is a locality situated 8 km from the city's historic center. It is famous for its countryside landscapes and crystal clear springs. 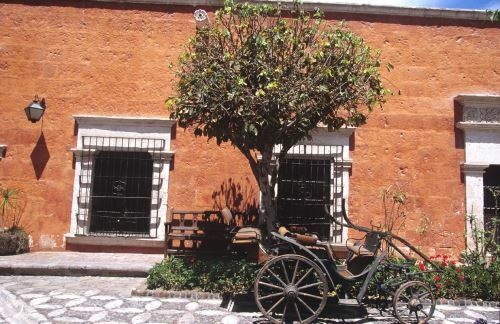 Built in the 18th century, this baroque house is named after an ancient mulberry tree in its central courtyard. The place contains furniture dating from the colonial and republican eras. Its main attraction is the Lady of Ampato, popularly known as Mummy Juanita. 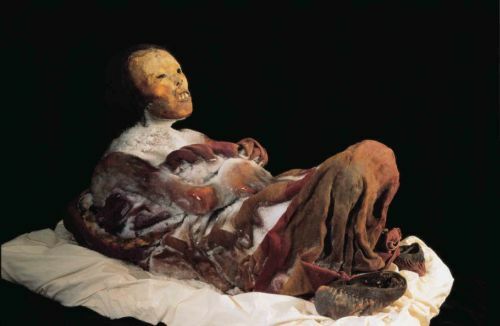 The body of this 12- or 14-year-old girl —buried in the Inca period— was found at the summit of Ampato Volcano. It is one of the most significant and traditional large houses in the region. 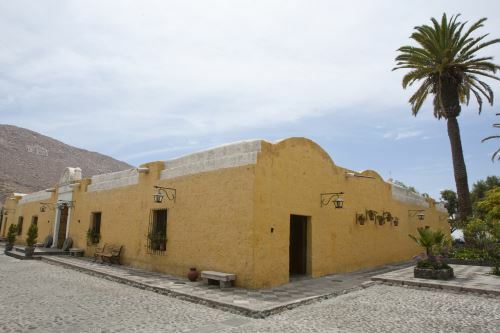 This mansion was once owned by Arequipa's founder Garci Manuel de Carbajal, who ordered its construction for his son. Later, in 1785, Juan Crisostomo de Goyeneche y Aguerreverre, its new owner, renovated it with the stately characteristics it bears today.